end of 4th century BC. Two Salii (members of a priest caste) carrying six ancilia (sacred shields). 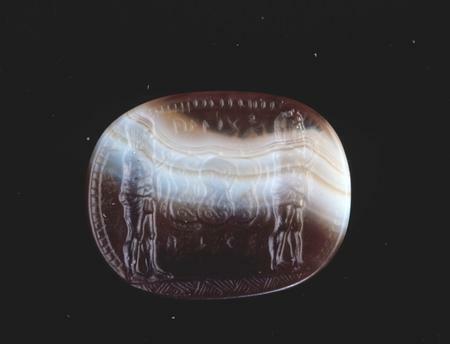 Gem, Sardonyx, 13 × 17mm.